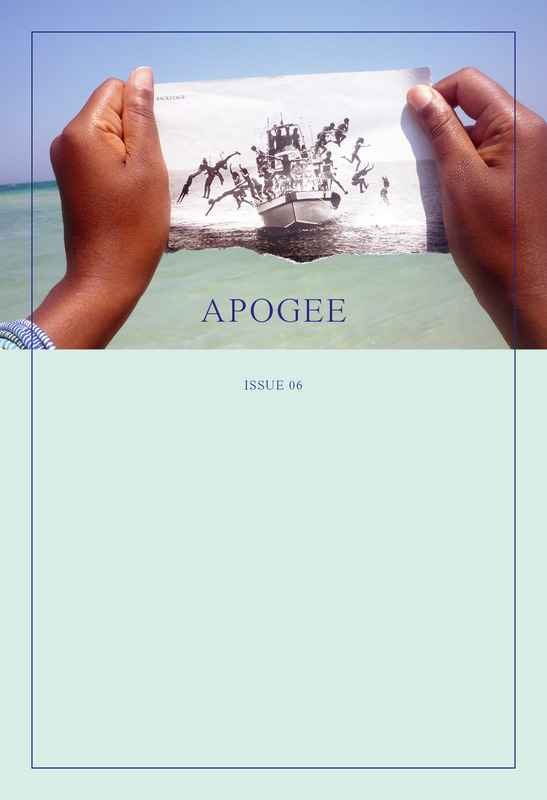 Apogee is a journal of literature and art that is both eager and unafraid to engage with identity politics, including but not limited to: race, gender, sexuality, class, ability, and intersectional identities. We are a biannual print publication featuring fiction, nonfiction, poetry, and visual art. Our goals are twofold: to publish fresh work that interrogates the status quo, and to provide a platform for underrepresented voices, including artists and writers of color. Apogee published work that engages with identity politics and social justice; championing underrepresented voices. We accept submissions twice per year, in July/August, and December/January, for publication in our fall/winter, and spring/summer issues, respectively. We publish fiction, nonfiction, poetry, and visual art. We allow simultaneous submissions.